The University of California’s Office of the President (UCOP) has agreed with Project Seaphe on a plan for the public release of anonymized student data. The data, covering more than half-a-million students who sought admission to or attended the university between 1992 and 2007, is perhaps the most extensive release of student records ever made by a university. –With a formal ban on racial preferences, are minority students at UC campuses post-209 on a similar academic footing to their classmates? If so, has that led to better academic performance and higher graduation rates? 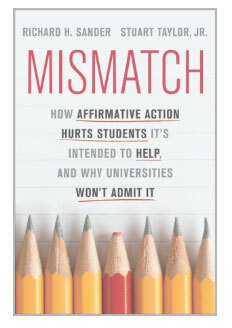 If not, what explains the large jump in minority graduation rates at UC over the past decade? –UCLA and Berkeley have far more students on Pell Grants (an indication of socioeconomic diversity) than any other elite college in the United States. To what extent can this be traced to a shift from racial to socioeconomic preferences after Prop 209? –Many observers have been concerned about the “chilling” effect of Prop 209 upon minority applications. To what extent, if any, did qualified black and Hispanic students stop applying to elite UC schools after 1996? UCOP’s decision to release the data followed nearly a year of negotiation with Project Seaphe. California’s Public Records Act, like similar laws throughout most of the United States, imposes broad obligations on public institutions, including universities, to make available internal data. But, in practice, the full scope of these laws is rarely utilized by researchers in seeking data. Project Seaphe pursued the UC data in collaboration with other scholars interested in studying the impact of Prop 209, most notably Dr. Joseph Hotz, an eminent labor economist at Duke University. This cooperative effort helps to insure that an array of scholars with diverse skills and interests will study the data.